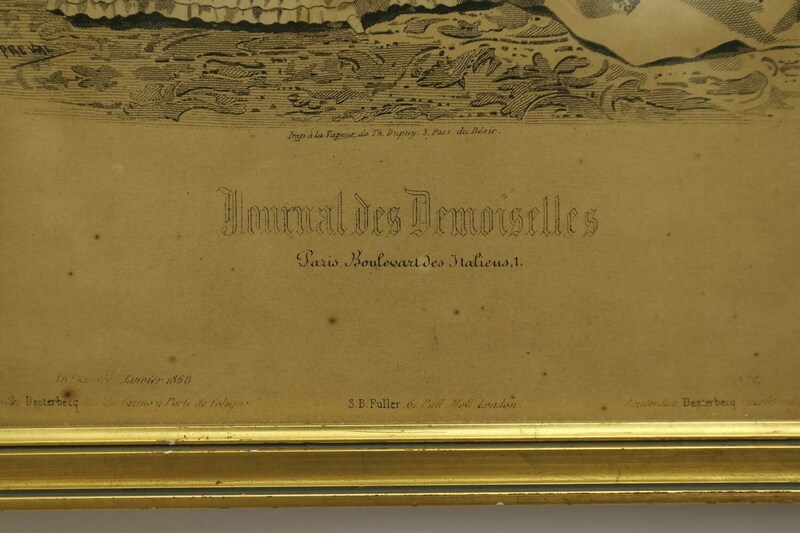 Antique French Fashion Illustration Journal Des Demoiselles in Gold Frame. 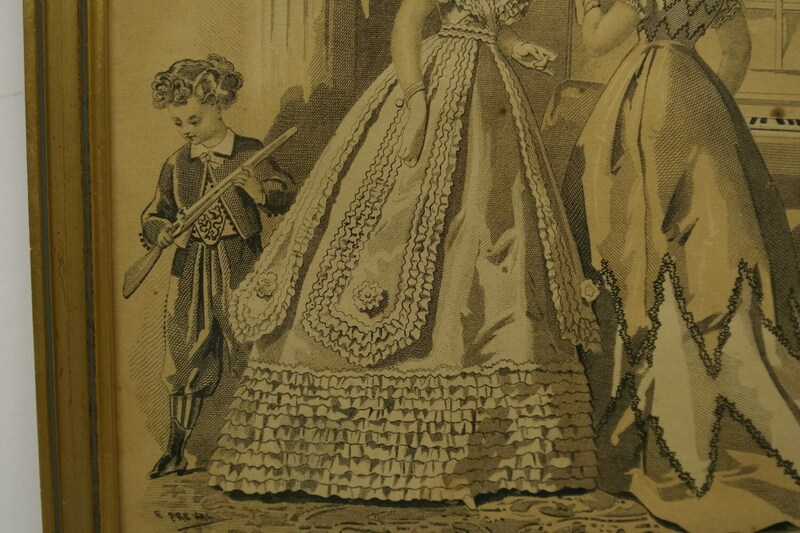 Victorian Fashion Print. 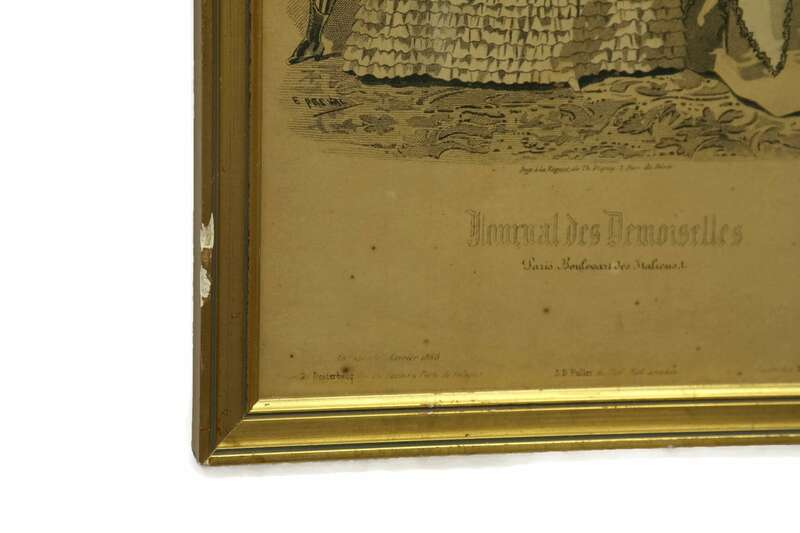 An antique fashion print from a 19th century edition of the French fashion magazine, Journal Des Demoiselles. 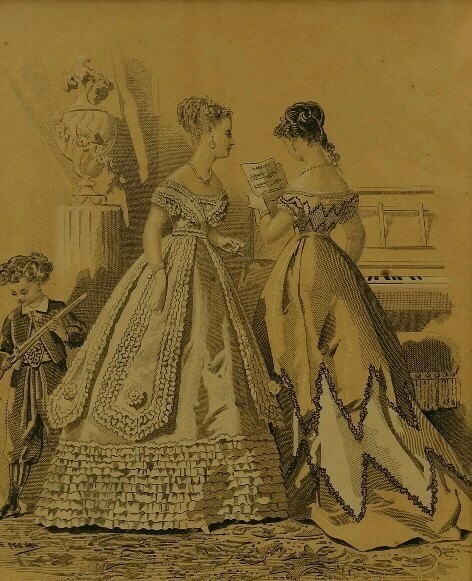 It has been dated 1868 and features two women dressed in beautiful evening dresses. The print has been hand-tinted with white highlights and has been framed under glass in a gold tone wooden frame. 11 1/2" Tall x 8" Wide (29 cm x 20 cm). 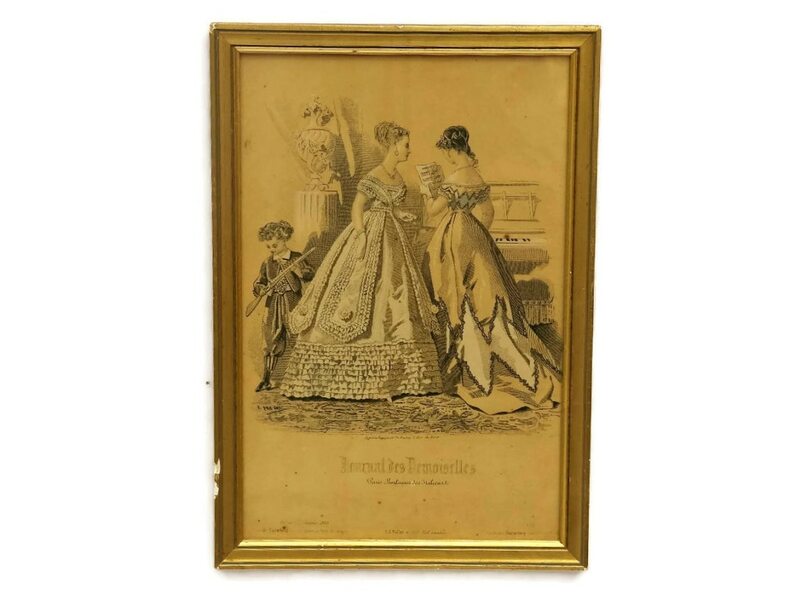 The Victorian fashion print is in good condition with age-appropriate wear including small flakes to the edge of the frame. Hanging hardware is not included.